"Recently I have a new HTC Desire, and want to play my favorite AVI videos on it. But find that the AVI format is not supported by Android phones. If there is any program can help me to resolve the problem?" - From one Android user. Because of the high-resolution of most new Android phones, you can have a good experience to enjoy brilliant videos on it anywhere, but there are limits of compatible video formats supported by Android. You may have many favorite AVI videos on your home computer and want to play AVI on Android, the easiest way is to choose an AVI to Android converter – MobileGo Android Manager to convert AVI to Android compatible videos firstly. Here you will find how to play AVI on Android phone step by step. Launch MobileGo Android Manager, and connect your Android phone to PC. Then the computer will detect your device automatically. Go to "Videos" Tab, click "Add" button, and select the movies which you would like to play on Android, and a window will pops up that tells you that the movies you are adding are not supported by the phone and ask you whether to convert them. 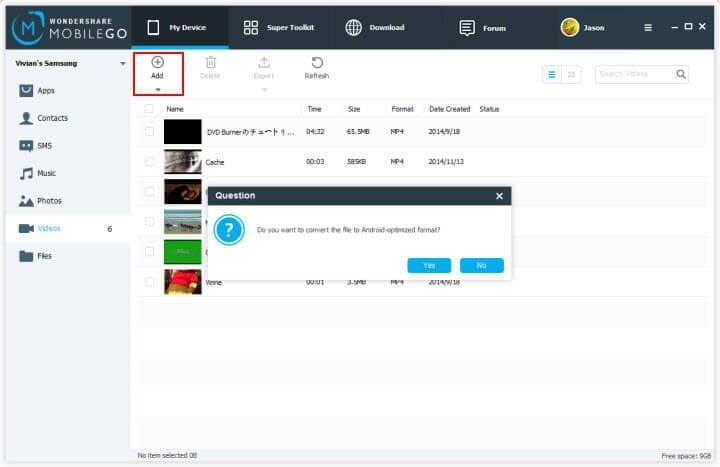 Click the "Yes" button, and the software begin to convert stream AVI to Android during the transferring. In the Setting window, you can choose to convert the video in high/normal/low quality as you like. The high quality will take more capacity in your Android phone and the converting time will be longer. 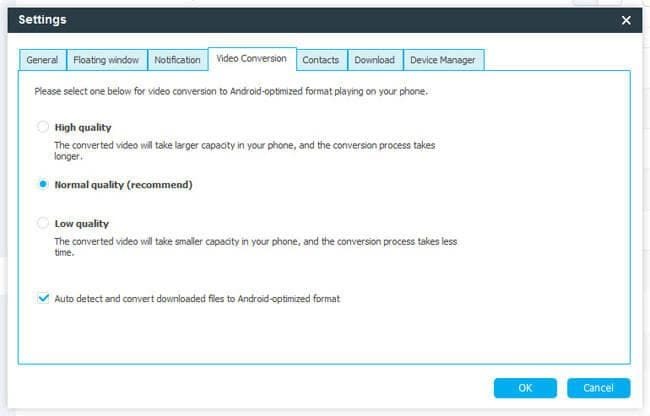 After successful converting, your AVI videos will be converted to Android supported formats and added on the Android. Now you can play AVI on your Android phone, MobileGo Android Manager is a handy and smart Android manager, which dose not only support you to convert videos to most suitable formats for your Android phones, but also transfers contacts, SMS, music and photos to Android. What's more, you are able to manage and backup or restore your contacts, SMS and applications with one click. 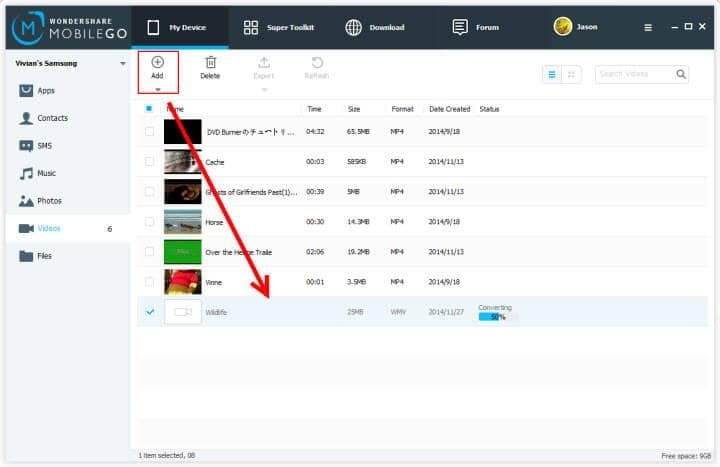 If you want to convert videos not only for Android phone, you can also achieve to convert AVI videos by Wondershare Video Converter, which is specially designed for converting videos and audios with more features, and supports to convert AVI videos to iPhone, iPad, iPod, PSP and other mobile phones besides Android phone.